Pamela Pretswell Asher believes the Ladies European Tour has hit its lowest ebb at a time when the circuit boasts its strongest pool of talent in the last five years. The 2017 campaign concludes on a high note this week with the Omega Dubai Ladies Classic involving a star-studded field at the Emirates Golf Club. But the fact it is just the 14th event on the schedule shows what a tough year it has been for players like Pretswell Asher who are trying to make a living on the LET. Five tournaments went by the wayside this year, leading to the departure of the circuit’s CEO, Ivan Khodabakhsh, in August. During the Solheim Cup in Des Moines, LPGA commissioner Mike Whan revealed that he had instigated talks with Keith Pelley, chief executive of the men’s European Tour, to see what could be done to help the LET. However, it emerged recently that the LET has declined the offer of assistance for the time being after being encouraged by the potential for a healthier 2018 schedule. “No chance,” replied Pretswell Asher, who was on the LET committee before resigning earlier this year, to being asked if there was a possibility of as many as 24 events being on that list, which is expected to be unveiled at this week’s event in the UAE. Pretswell Asher has been the leading Scot on the circuit for the past two years but heads into this week’s event behind Michele Thomson on this I season’s money-list after the Aberdonian finished second in last month’s Indian Open. Due to bad smog, Pretswell Asher withdrew from that event but, after recording a top-15 finish in the following week’s Sanya Ladies Open in China, she is looking to end her season on a high in a field that is headed by Ricoh Women’s British Open champion In-Kyung Kim. “Michele had a great week in India but, if I can have a good week in Dubai, we’ll see where it leaves me at the end of the year,” said the former Curtis Cup player, who also has US Solheim Cup duo Angel Yin and Brittany Lincicome as her rivals this week. “This is a tournament I really enjoy, it’s the best one after the Scottish Open and it is one of the biggest on the schedule. 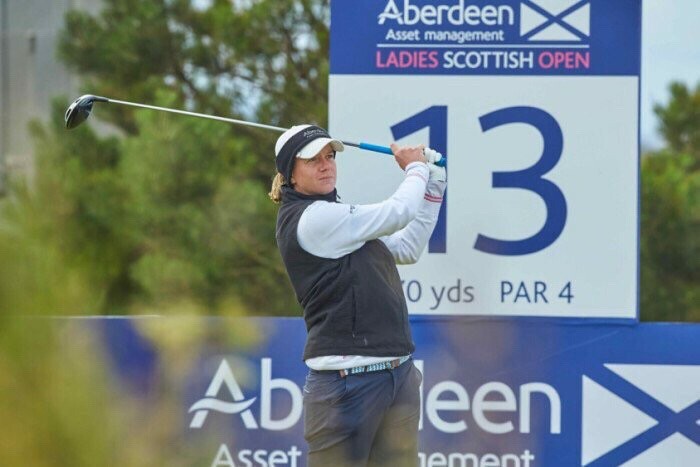 Fresh from her card success at the LPGA Qualifying School, Gemma Dryburgh also lines up in the Dubai event, as do Solheim Cup captain Catriona Matthew, Kelsey MacDonald, Vikki Laing, Kylie Henry and Carly Booth.